What great news to hear that Tom Sykes of the Rizla Suzuki Team has got a wild card ride at the Brands Hatch World Superbike round. As Tom said after his double win at Oulton Park Bennetts British Superbikes "Its like waiting for a bus to arrive and three come along at once", lets hope he can make it three wins in a row and win a WSB round. 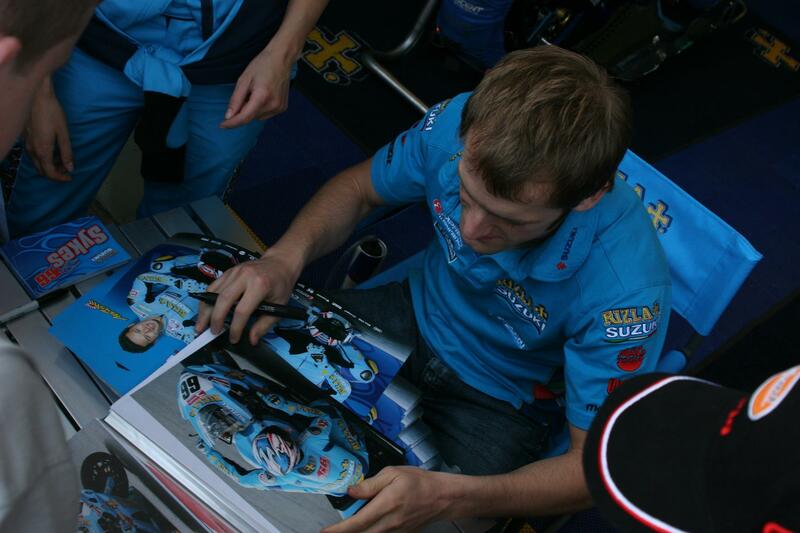 The attached pic shows Tom navigating Druids at Brands and then signing the actual picture that I took during the paddock walk at the next round.